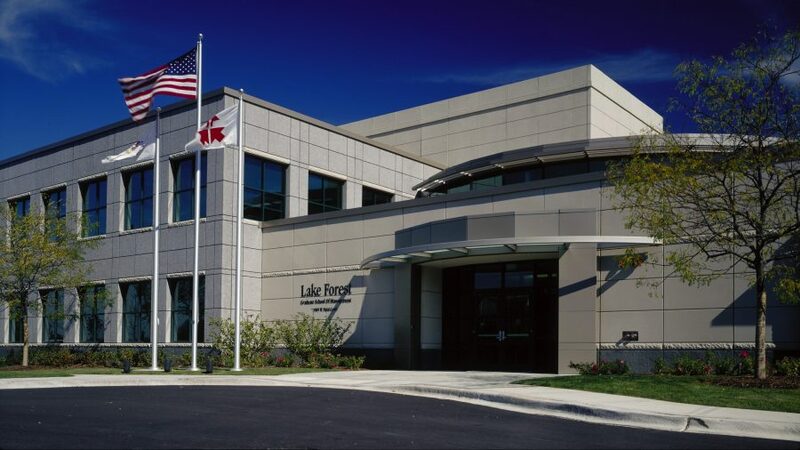 Lake Forest Graduate School of Management is an independent, not-for-profit business school. 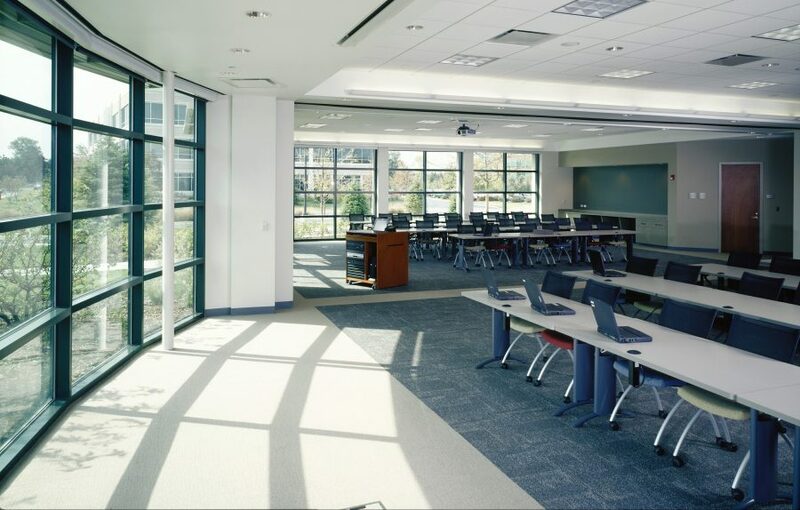 The Lake Forest campus’s state-of-the-art classrooms are capable of holding approximately 30 students and are fully equipped with computers and multi-media capabilities to give students the most-up-to-date resources. The design for the Lake Forest Graduate School of Management emerged from a comprehensive programming study completed by Wright Heerema Architects. The result is a building that has built-in flexibility to allow for multiple classroom scenarios as well as future expansion. 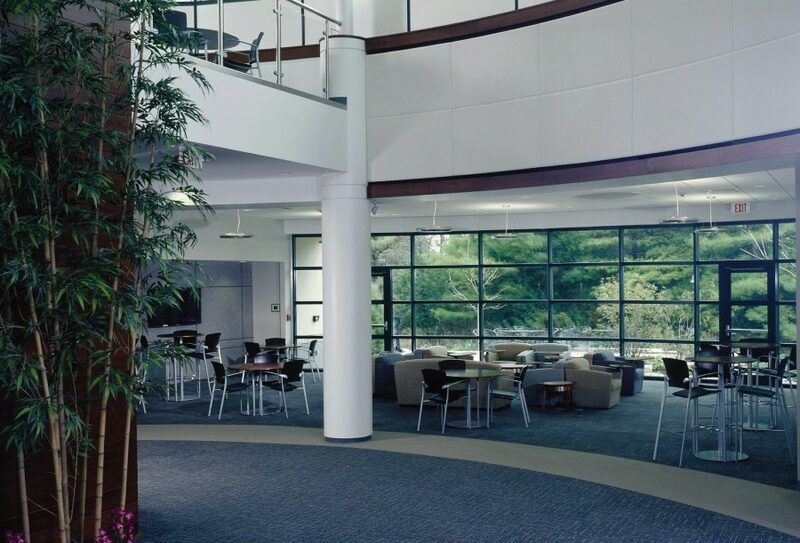 A large daylit drum serves as the commons room and is the focus for students and faculty. A flexible multi-purpose room allows events from small seminars to school-wide functions. 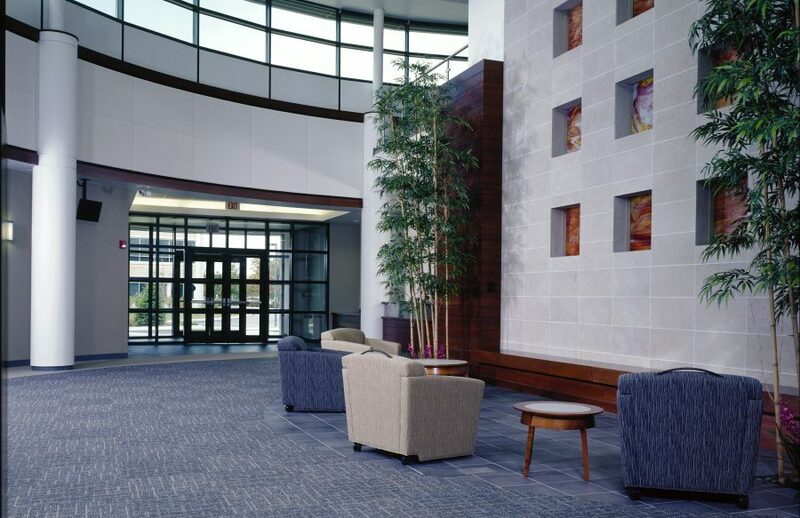 The clever use of a well-detailed architectural precast concrete exterior provides an attractive finish and serves as a very cost effective perimeter structural system.